Ingenious design and premium quality make Munchie Mug the obvious choice for spill proof snacking for children ages 10 months and above. The only snack cup on the market to feature a soft fabric opening allowing easy access to snacks while preventing spills. Kids love being able to independently snack from their own Munchie Mug. 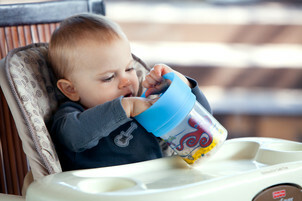 Durable, easy to clean and safe - Munchie Mug offers peace of mind. Your car, carpet, stroller and diaper bag will thank you. If you're looking for a great snack cup, this is it. Love that the top screws on. My daughter loves carrying it around. A+ for the Munchie Mug! We just love this thing. My daughter carries it all around and snacks on cheerios whenever she pleases. We don't go anywhere without it! Easy to clean and easy to use. By far the BEST snack cup I've ever had! This snack cup is pretty much perfect. I have 3 of them. The fabric is almost like a bathing suit material. I really like that it has a lid to seal the cup when not using the snack lid. It is easy for my son to hold, easy to clean, and USA made! 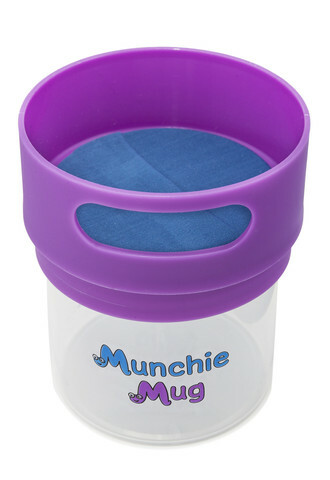 The Munchie Mug is THE BEST snack container around! We have never once had a spill!! 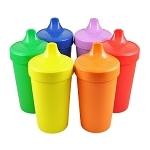 It is sturdy, durable, easy to clean, and the handle is perfect for little hands. Plus, it comes in a variety of great colors!! 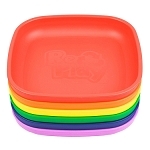 The only downfall (the reason I am giving it 4 stars instead of 5) is that it is plastic, BUT I have tried other stainless steel ones that aren't nearly as successful at keeping snacks in place. Thanks to the munchie mug we no longer have Cheerios explosions in our car. The fabric stays closed when my sons hand is not inside and the fabric is so soft. A great gift! We plan on buying another! The munchie mug is wonderful! It is big enough to hold a decent amount, and we never have snacks spilling. My son can actually get his snacks out in his own! We tried other snack mugs that he just coudn't work well. This is such a great product!